Like much of the country, it’s been really cold here in Massachusetts over the past week: starkly beautiful in that mid-winter way, but freezing cold. Every day I forsake one of my fashionable wool coats for a shapeless parka, which depresses me, as I’m a bit of a coat hound (I think this is in my blood: my Italian great-grandfather came over at age 13 and became a designer of what everyone tells me were the most beautiful ladies’ coats). 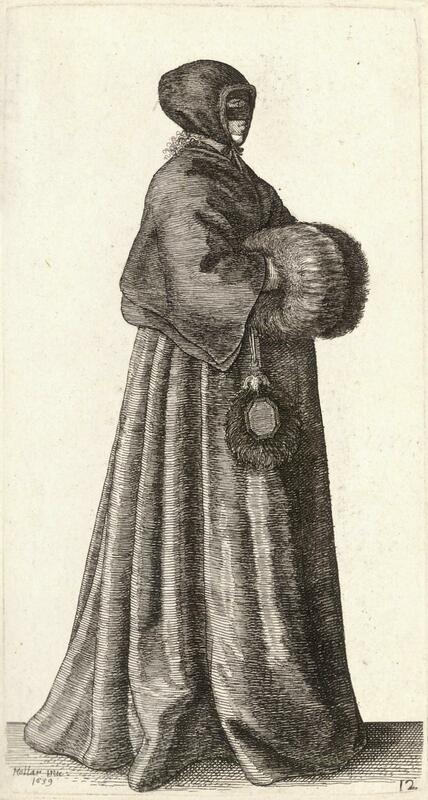 There is plenty of current advice about how to look good while bundled up but I also like to look at the fashion plates of one of my favorite artists, the Bohemian etcher Wenceslaus Hollar (1607-1677) for comparison, if not inspiration. 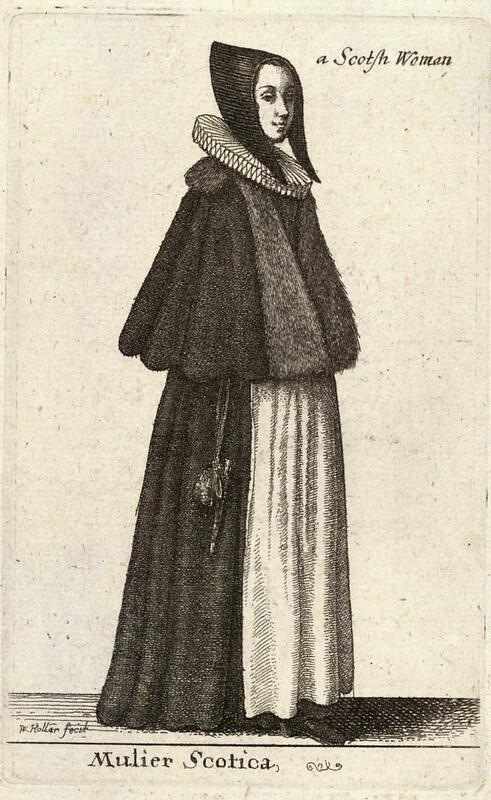 Hollar’s costumed women were probably idealistically dressed, but they are nonetheless charming. 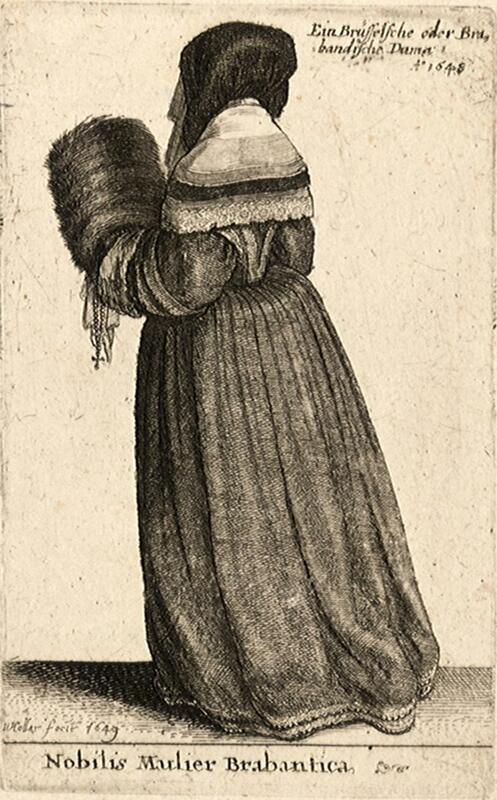 Wenceslaus Hollar, “Winter” Dress, 1643-44. Courtesy of the British Museum. 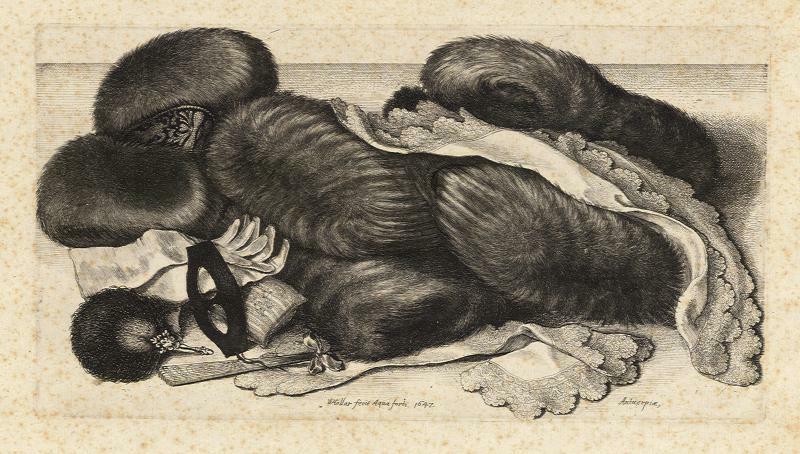 Wenceslaus Hollar was a professional etcher and printmaker with nearly 3,000 prints to his credit. He escaped war-torn central Europe and came to England in 1636 under the patronage of the “Collector” Earl of Arundel, but also pursued his own projects, including series of prints such as this which he sold individually and in sets. The inscription below this fashionable London lady reads: “The cold, not cruelty makes her wear/In Winter, furs and Wild beasts hair/For a smoother skin at night,/Embrace her with more delight.” The first couplet strikes me as an uncharacteristically modern sentiment to be expressed in the fur-crazy seventeenth century, and the second as rather racy! 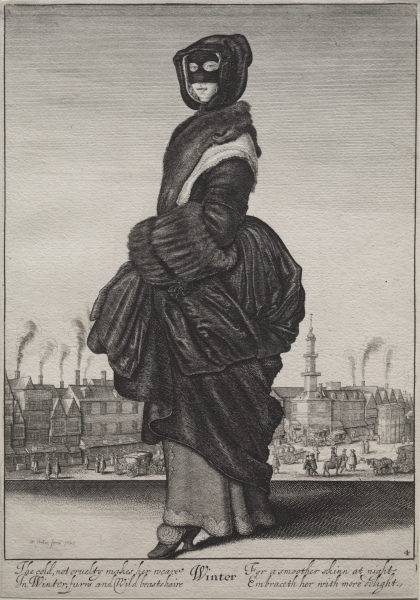 I must say that this seventeenth-century lady does not look that dissimilar from some of the New Yorkers captured by Bill Cunningham in this week’s “Antifreeze/On the Street” Times column. 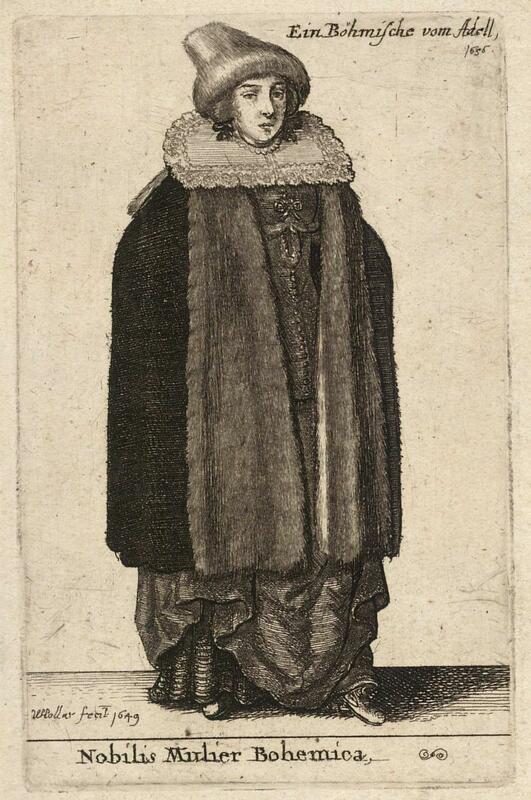 Besides his seasonal series, Hollar produced two other sets of prints of ladies’ contemporary costumes, both available in their entirety at the University of Toronto’s extraordinary digital collection: Ornatus Muliebris Anglicanus, or The Several Habits of English Women (1640) and Theatrum Mulierum and Aula Veneris (1643). Below is another bundled-up English lady from the former, and Scottish, Spanish, Flemish and Bohemian ladies from the latter. Muffs, muffs, and more muffs! 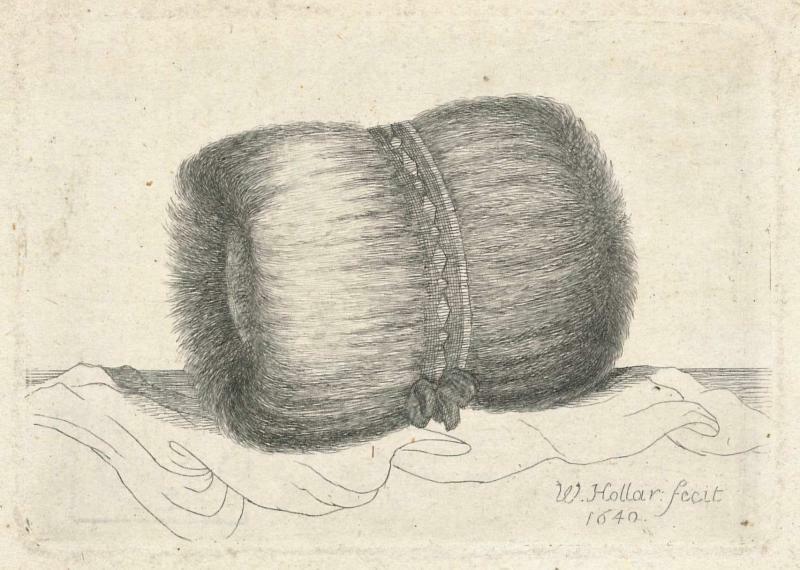 I am not a fur-wearer, but I can still appreciate Hollar’s amazing depictions of muffs, the must-have accessory of the seventeenth-century noblewoman (and men too). 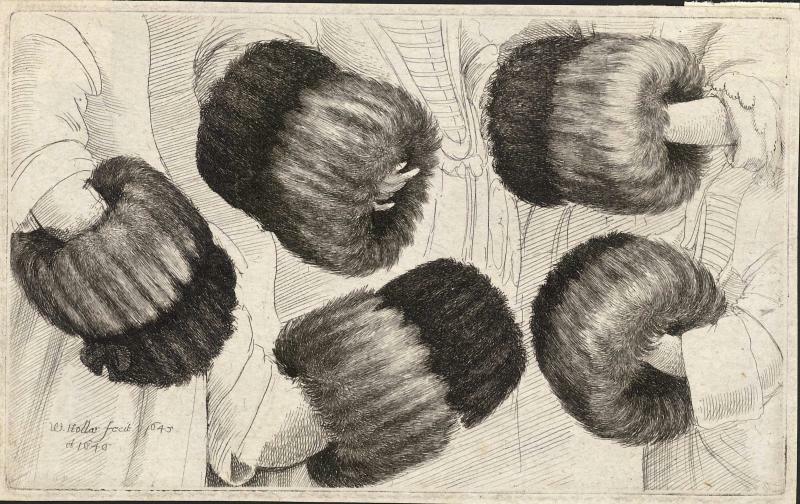 They were a relatively recent import to England from the Continent, first referenced as “snuffskyns” in Elizabeth’s time, and Hollar apparently admired them so much he often did away with the wearer and just etched the muff–with such precision that you can almost feel the fur. 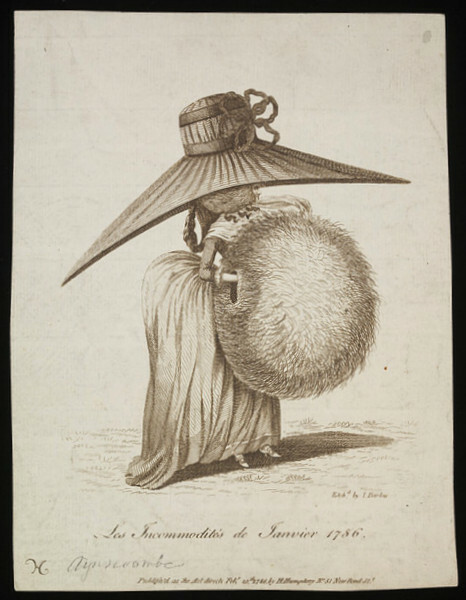 It is interesting to see what a difference a century (or so) makes: in the later eighteenth century, British caricaturists would regularly mock muffs as an extravagant French accessory, the very symbol of sartorial excess. In Hollar’s time, however (certainly a more Puritan-ical era), they appear to objects above reproach! 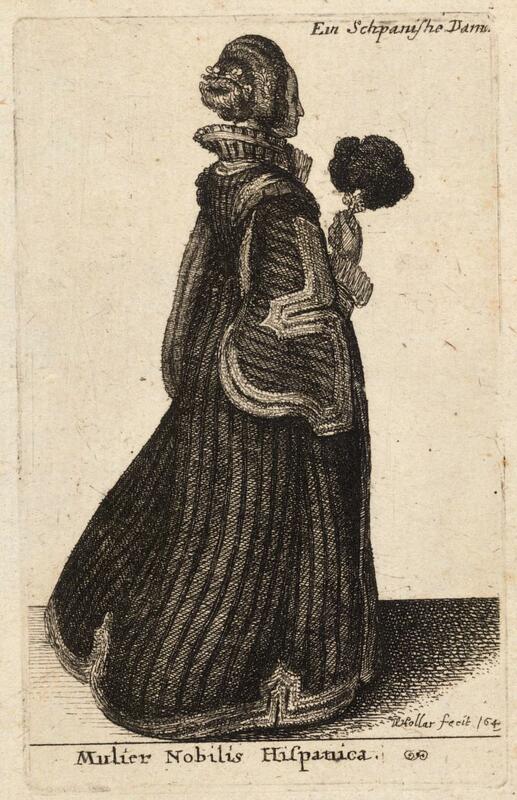 Inigo Barlow, ‘Les Incommodités de Janvier’, etching published by Hannah Humphrey, London, 1786. Courtesy of the Victoria & Albert Museum, London.